Please note that I am on partial maternity leave during Fall 2018. For two weeks during May Term 2016, students in Scott Whiddon’s and my “Digital Travel Writing” class travelled to Ireland. We stayed at the Burren College of Art and took trips to Galway, the Aran Islands, and several towns and historic sites in western Ireland. We also enjoyed a lecture from Manchán Magan, a reading from Paul Clements about his recently published Wandering Ireland’s Wild Atlantic Way, and a storytelling session with Eddie Lenihan. Traveling abroad with students is undoubtedly one of my favorite teaching experiences. 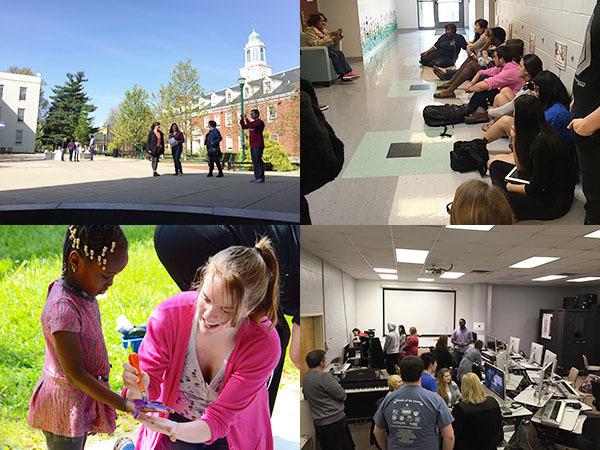 In May Term 2015, students in Scott Whiddon’s and my “Writing for/with Nonprofits” class paired up with the Community Action Council for Lexington-Fayette, Bourbon, Harrison and Nicholas Counties to produce a variety of print-based texts, website materials or social media plans, and videos. In the process, we attended the training for some of the CAC’s Senior Corps volunteers and visited several of the Senior Corps’ worksites, such as local community gardens, food pantries, the Veteran’s Hospital, and two Head Start locations. 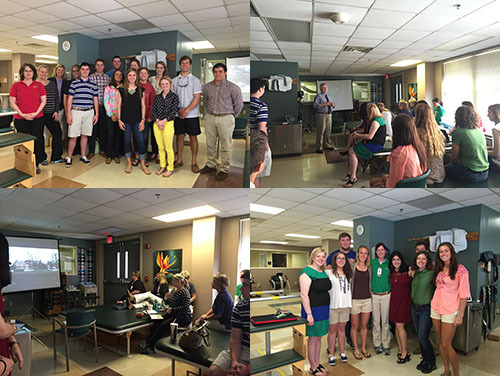 In April 2015, students from my Digital Rhetoric class and from Gary Deaton’s Organizational Communication class paired up to present videos they created for Cardinal Hill Rehabilitation Hospital’s Adaptive Recreation and Parkinson’s Programs. The above photos represent some of my BGSU students’ work in English 2070, an intermediate writing class. My colleague Stacy Kastner and I decided to focus our sections on multimodal literacies and reflective learning. Pictured here are visual and multimodal literacy narratives, final presentations of digital portfolios, and a draft of a collaborative rubric.